The current Mercedes-Benz E-Class first went on sale as a 2017 model, but apparently, it’s already time for a midcycle refresh. At least that’s what it looks like based on this latest batch of spy photos. 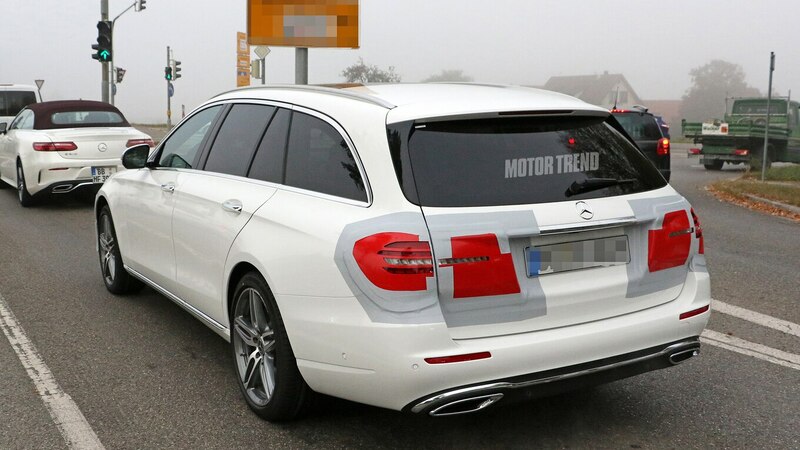 Our photographer recently caught this E-Class wagon prototype driving around wearing a good bit of front-end camo. 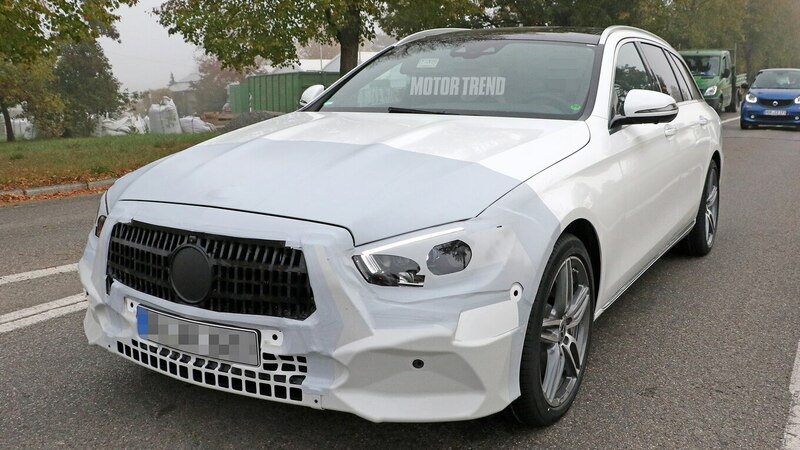 It’s heavy enough to obscure most of the headlight and bumper design, but we wouldn’t be surprised if the refreshed E-Class borrows heavily from the current CLS. The grille may be a little more squared off, but the design at least looks similar. The same goes for the headlights, which look a lot like the ones Mercedes has started using on cars such as the CLS and A-Class. Around back, there isn’t nearly as much camouflage. Still, the attempt to obscure the taillights as much as possible suggests they’ve been completely restyled. According to our photographer, the new taillights probably look a lot like the ones used on the new GLE. Then again, the updated E-Class could just as easily get its own taillight design since it’s so hard to make out their shape here. Currently, we expect Mercedes to reveal the refreshed E-Class next year before it goes on sale as a 2020 model. We might even see it as early as the Detroit auto show, but a European reveal seems more likely. In the meantime, keep an eye out for sedan prototypes to start testing. The post Spied! 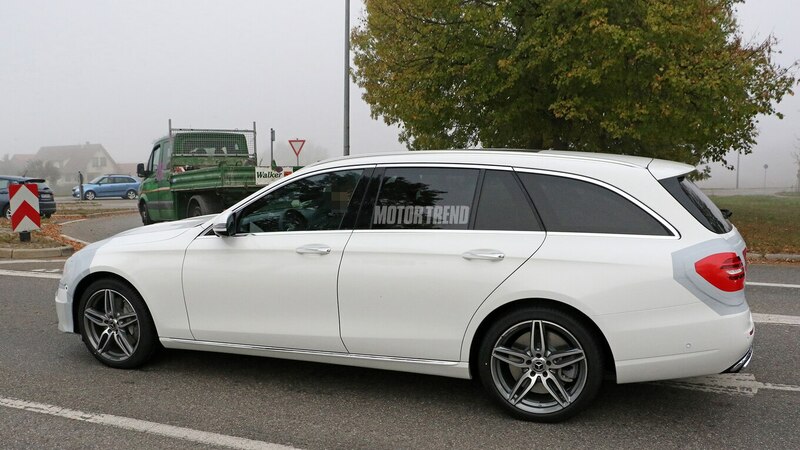 Face-Lifted Mercedes-Benz E-Class Wagon Caught in the Wild appeared first on Motor Trend.